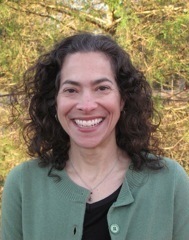 I am pleased to announce that Tracie Costantino will join RISD as Assistant Dean of Faculty this coming February 2014. Tracie earned her undergraduate degree in art history and Italian studies at Boston College, and her master’s degree in art history from Brown University. She received her PhD in aesthetic education (curriculum and instruction) from the University of Illinois at Urbana-Champaign in 2005. In 2004 she joined the faculty of art education at The University of Georgia where she later earned tenure and promotion to Associate Professor. Tracie has been honored with recognition for her teaching through the Richard B. Russell Award for Undergraduate Teaching, the General Sandy Beaver Teaching Professorship, and participation in the Lilly Teaching Fellows program at the University of Georgia. Her research focuses on the nature of cognition in the arts, creativity, and the transformative potential of aesthetic experience as an educative event. Her interest in interdisciplinary curriculum and creative learning has been supported by two grants from the National Science Foundation. In addition to numerous published articles and book chapters, Costantino has co-edited two books with Boyd White (McGill University) on aesthetic education: Essays on Aesthetic Education for the 21st Century (Sense Publishers, 2010) and Aesthetics, Empathy, and Education (Peter Lang Publishers, 2013). As Chair of the search committee for this position, I would like to thank Mark Milloff, Mara Hermano, and Anais Missakian for their diligence in reviewing the applications of numerous candidates on a very tight timeline, and for inviting highly qualified candidates to campus for presentations and meetings with faculty and staff. Please join me in welcoming Tracie Costantino to the RISD community.